Google’s News: Shorter Snippet Length Update, from 320 to 160. Is your website snippet not showing in Google search results like usual? At this point you might be pondering why I’m asking you this and why is it relevant? Well, what if I told you the rabbit hole goes a little deeper? Over the course of time, Google has changed its search algorithms easily over 500 times. 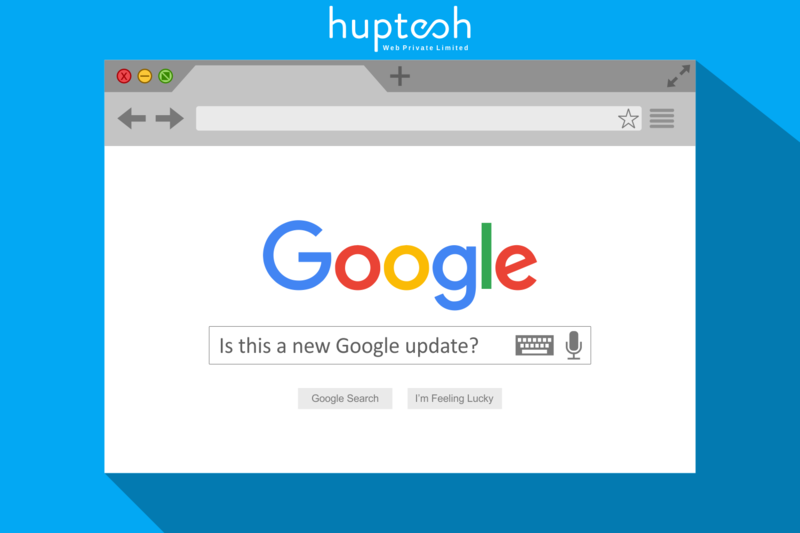 While some of these updates may seem minor, once in a while Google likes to roll out a “pivotal upgrade” that affects the way the search results are perceived in a major way. And each year, Business Moghuls, SEO experts and everyone have to scramble their forces to make amends to get accommodated with the changes. One such instance is Shorter Snippet Length. To avoid disasters, Search engine experts have been recommending everyone to stick up with 155-160 meta description character limits for years. And round about two months ago, Google maximized the characters displayed in the search results to 320 characters description. But with the recent (alleged) update, the search engine has slashed the character limit to 160 characters meta description, if not less, over the past week. While Google has promised to tell everyone when major changes are rolled out, you shouldn’t be sitting on your hands for the announcement. I first started noticing these changes in search results, as the fewer details and characters in the snippets, but like everyone else, waited it out to see if it was another testing or trial. If you’re unfamiliar with this update, you’re not alone. This update is an underrated update but one that is familiar with the patterns of search result engine might be already acquainted with this particular change. After testing the longer search engine snippets for over two years, Google has decreased the mobile countdown to 130, if not less, depicted by RankRanger. You might need to go deeper to avoid setbacks. Thankfully, Social media allows you acquire an insight. 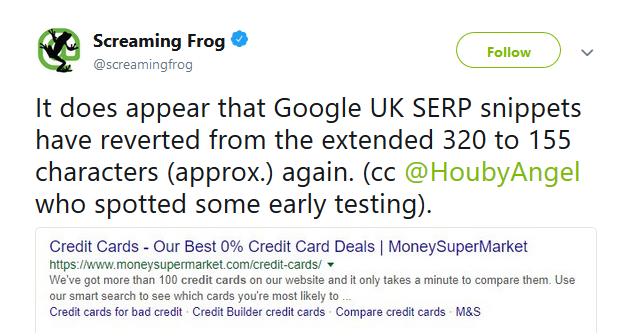 It also seems that Google UK snippets have relapsed from 320 to 155 characters (approximately). Considering how underutilized this update is, you might want to consider it as your secret weapon for implementing a strategy for your website’s performance and acquire the kind of acuity that competitors might be lacking out on. Share your experience and insight on the matter with us, as you might be able to avoid some sleazy SEO tactics that may have harvested traffic in past but aren’t likely to remain viable strategies for long. Generally I do not read post on blogs, but I would like to say that this write-up very pressured me to try and do so!